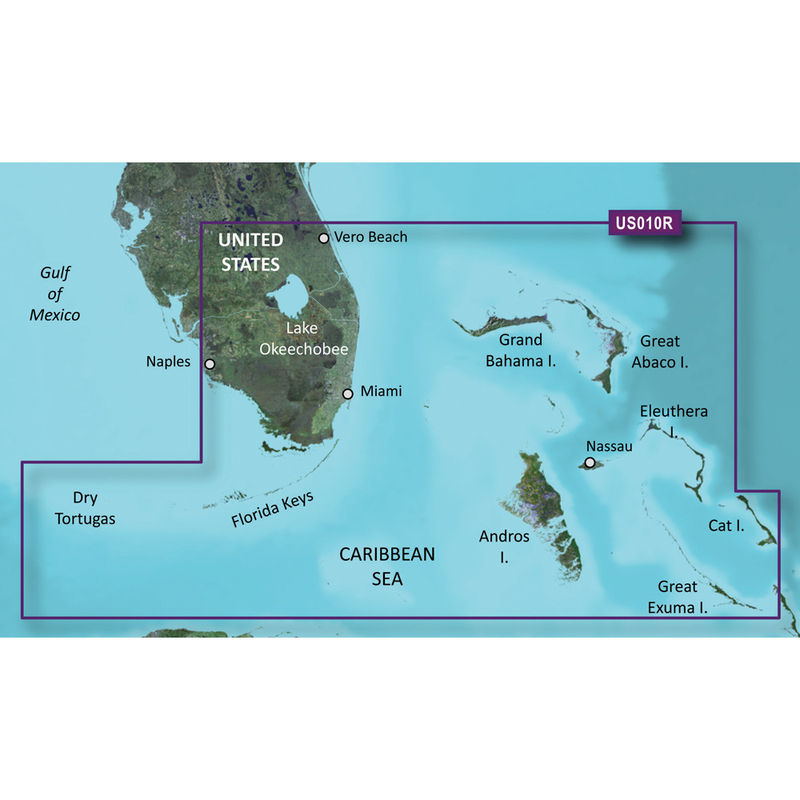 Featuring data from Explorer Charts for the Bahamas. Vero Beach south to include Lake Okeechobee, Florida Keys, Dry Tortugas, and covering the west coast of Florida north to Naples. Also covered all the Bahamas, Andros Island, Eleuthera Island, Cat Island, Great Exuma Island, Little Exuma Island, and Hog Cay.